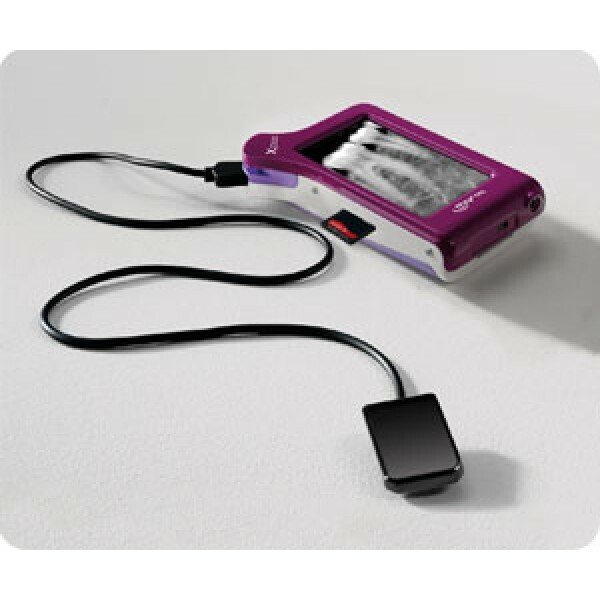 X-pod, the new pocketsize medical device created by MyRay, provides instant diagnostic quality radiographic images on a handheld wireless device. 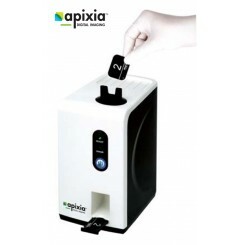 X-pod allows you to simply walk into the operatory room and instantly collect crystal clear radiographs. Review and zoom the high resolution images on a wide yet pocketsize touchscreen display. No need to worry about external power supply, wires, software or a PC. X-pod incorporates them all. Leave X-pod on charge overnight and get a whole day’s autonomy from the lithium-polymer battery. X-pod features the latest generation of intraoral sensors, with ergonomic design and built-to-last quality. 3-layer technology including a Fibre Optics Plate preserves image resolution and protects the sensor from direct X-ray penetration. Bluetooth 2 allows for fast image transfer to your PC only, truly respecting patient privacy. MyRay patented interference-free implementation makes data transfer even more reliable and safe. Once on your PC, use the imaging software of your choice to mount images in full-mouth templates.